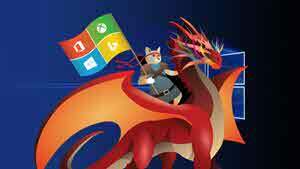 Microsoft is all set to release the next major public update of Windows 10 next month from their Redstone 4 (RS4) branch. If you are a Windows Insider, you have already installed and experienced all or most of the preview builds in last few months. As it is approaching the RTM state, you may like to opt-out from the preview build and be inline with the public version. Follow the steps mentioned here. 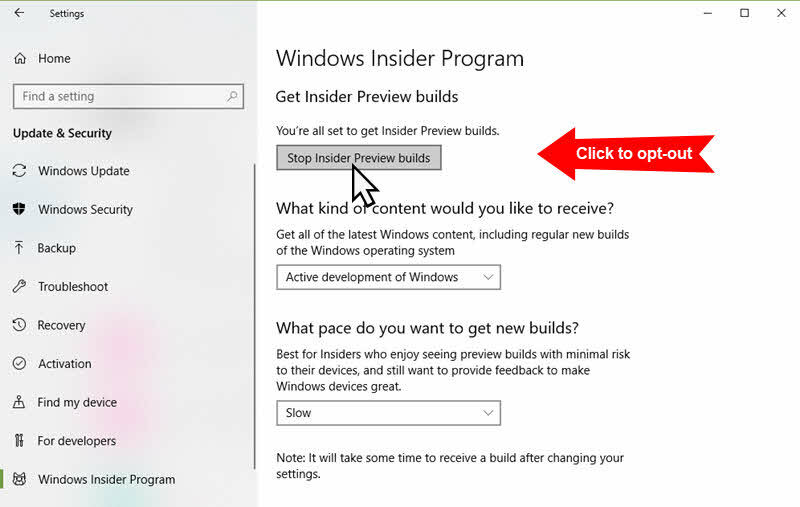 As Microsoft is approaching to RTM release next month and as they have already released the 'Feature Update Build' to insiders in the Slow Ring and going to push this soon to the Release Preview, it's the time if you want to opt-out from the insiders preview program before they start pushing the next preview builds from RS5 branch to the fast ring. 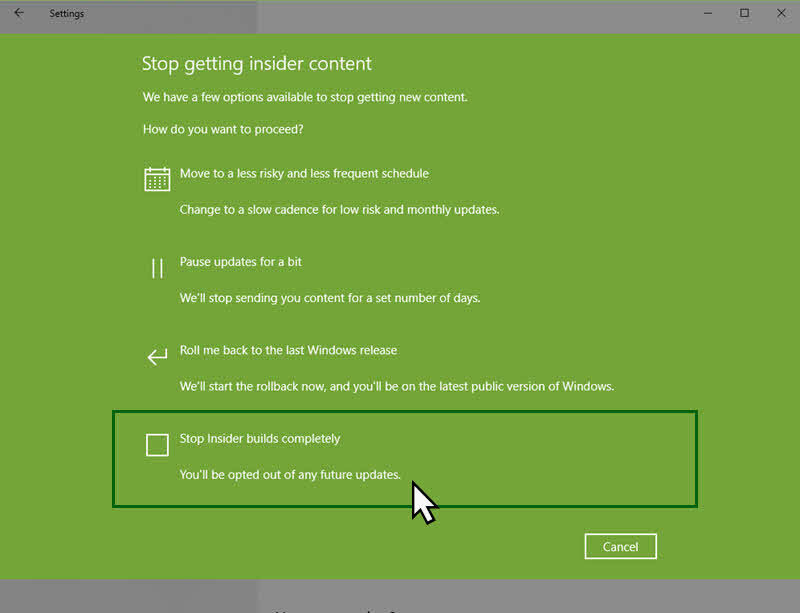 In the next screen, click the Stop Insider builds completely, which will opt you out from receiving any future preview builds. In the next screen, it will ask you to confirm. Click the Confirm button to continue. After this, you will not get the insiders build with latest updates & improvements, but you will be able to reenter into the program when you want. Click the Restart Now button to finalize the settings and restart your system. That's all! 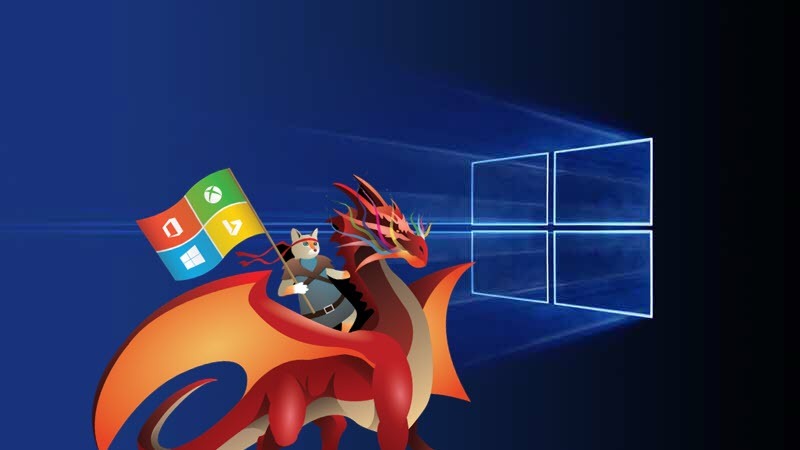 If you have come this far, it means that you liked what you are reading (If you are part of #WindowsInsiders, here's how to stop receiving the insiders preview build on Windows 10).